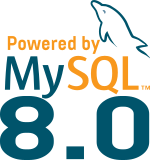 Since my interlocutor was a customer, the obvious choice is to use MySQL Enterprise Backup (known as MEB). Of course any other physical backup should be also fine. Of course, I do not recommend the use of --user clusteradmin --password=xxxxxin the cronjob but configure your crendentials using mysql_config_editor. The customer answered me he didn’t want to backup every node each time and since MySQL InnoDB Cluster retains data consistency, making a backup of one member should be enough (he wanted to spare some disk space). He was completely right. So I advised him to backup only one member, and I would recommend to use a secondary master. Then he told me that this is what it was doing… but what will happen if the node where the backup should run is down ? or has a problem ? And once again, he was right ! Therefore, I wrote this small bash script that can be scheduled on every members of the MySQL InnoDB Cluster. The script benefits of the new Group Replication consistency to ensure the backup is running on one member only. Note that this solution only works with full backups. Incremental or differential backups might be corrupted when mixing different severs. I don’t consider myself as an expert in MEB but if you have any question, you can use our popular forums, our Community Slack or by leaving a comment here. Update: there was a small bug in the first version of the script when a node was online but partitioned. This has been resolved and updated. Thanks Ted for the good catch !